Thirty years ago, Mercedes-AMG Motorsport wrote the first chapter of a long and extremely successful motor racing story with the entry of a works team in the DTM. Since then, the most successful brand in the history of the series has enjoyed many spectacular victories, set new records and experienced moments of high emotion. 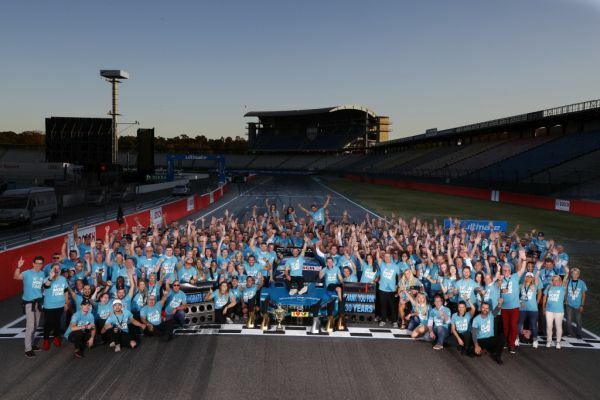 In this anniversary season, Mercedes-AMG’ last in the DTM, the brand with the three-pointed star capped 30 memorable years in the DTM by winning the title treble. During this time, drivers became acclaimed legends, the cars generated unforgettable drama and the hard work of the entire team filled the trophy cabinet to bursting. Our 100-minute documentary captures the emotional highs as well as the bitter setbacks and defeats of 30 years spent contesting the DTM. The video reflects on the history of the brand in this particular series and includes contributions from drivers, DTM legends and team officials. It also takes a look behind the scenes of this anniversary season and culminates with the fairy-tale finish in our home race at Hockenheim.